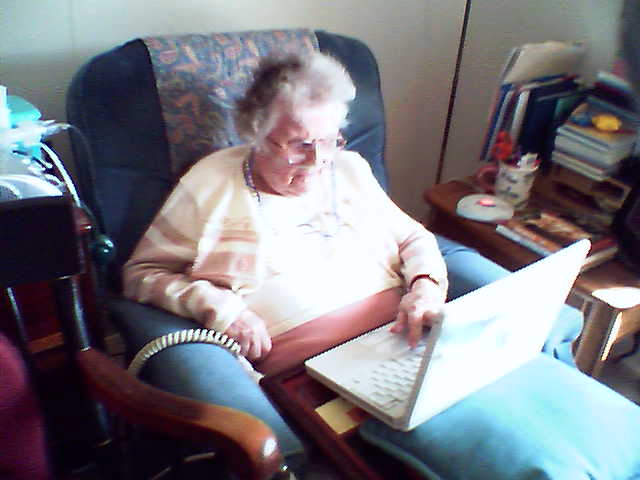 So intrigued by the internet, my 99 year old grandmother created an email account and even joined Facebook 10 months ago! From the time I went away to college, my parents began the weekly ritual of calling every Sunday evening to stay in touch. When Justin and I made the big move to Nicaragua, I wondered if those calls would come to a halt. Thankfully, they have continued this tradition even with the added expense of international calling. The phone calls have kept us grounded over the last 2 years, allowing us to maintain a personal contact with family and making us feel closer to home. However, international calls are expensive and when added up over time, the bill can be quite costly. Living abroad is an undeniably wonderful experience, but it can also be difficult to be so far from family and friends. Thanks to technology, there are myriad ways to stay in touch with your loved ones back home. From regular old emails to real time chats, Gmail, Yahoo, and other online mail programs are a an obvious choice as they provide a free way to correspond with people across the world. The advent of video chat plug-ins has only boosted the appeal, as you can connect by both voice and video with just the click of the mouse! VoIP (voice over internet protocol), MagicJack, Skype and other internet based voice communication services are all helpful, as well. For a long time, I resisted Facebook. As an educator back in the States, I had purposefully avoided social networking sites, as I didn’t want students to have access to my personal life. Plus, it seemed like a tremendous waste of time. Yet shortly after we moved to Nicaragua, my friends here convinced me to create a Facebook account. I very quickly connected with close friends and family and also slowly began reconnecting with many old faces. Using Facebook allows me to read updates, see photos, and share in conversations with people back home at times when neither of us has time for lengthy emails and costly phone calls. When our dog, Cooper, passed away, I was overwhelmed by the outpouring of love we received via Facebook. One simple post was all it took to connect us to our support network of hundreds of friends and family back in the States. Blogging is another great way to stay connected, as it allows you to send detailed updates to anyone willing to read your posts. Though it tends to be a little more one-sided, it does create a nice forum for sharing information and experiences. Thanks to the internet, home doesn’t feel quite so far away! Of course, you can’t smell homebaked chocolate chip cookies online. While technology is wonderful at keeping us in touch, remember that there is nothing better than an honest to goodness care package from home, complete with trashy mags, chocolate, and a piece of home. This entry was posted in Living Here, Moving Here and tagged facebook, gmail, living abroad, skype, using technology to stay in touch by Sarah. Bookmark the permalink. I’m wondering how reliable postal service in San Juan?